It took Canon 4 iterations of the M camera to make finally something that on paper looks a great camera. Four, because There is no Canon EOS M4 as number 4 brings bad luck in Japan — It sounds like the word for death. Had Canon failed (again) and I wouldn’t be worrying about Nikon. The problem is if Canon succeeds with this camera. Then, I don’t know what Nikon will do with their 1 series. Nikon small 1-inch sensor cameras fall just in no man’s land, between compacts and proper APS/full frame sensors. There are two or three things that I like about this Canon EOS M5. The dual focusing pixels, that allow fast focus, are one. They bring the best of the two worlds with phase detect and contrast based focusing. 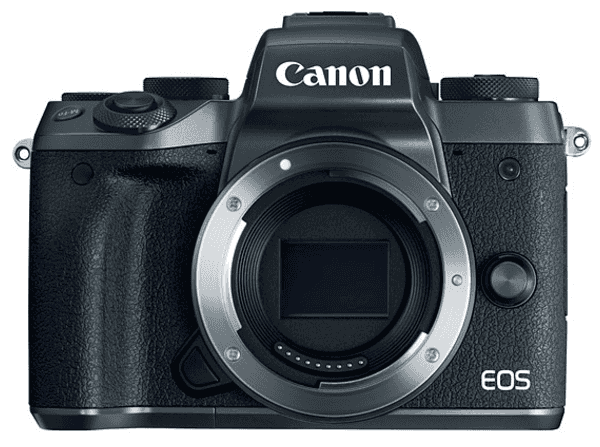 I also think that Canon EOS M5 sensor will please many Canon fans. Canon produces their own sensors and with Sony, they dominate the digital camera world. This means users will get the same characteristics as in their main bodies. And finally, the in video 5-axis stabilization will allow this camera to be a travel photographers dream. Nikon needs to convert the entry level DSLR D3xxx series (with a D3400 just announced pre-Photokina) into a mirrorless camera. Make it in a way that it uses the same sensor and same technology of the lineup, but remove the mirror. Start by trimming the body to a mirrorless shape, create a couple of good lenses for the system, and give an adapter for the existing lenses. That would be a great way for Nikon to (re)enter the mirrorless camera market. In a time when the Canon EOS M5 might start annoying some executives at Nikon headquarters, they need to reshuffle. Canon has the EOS M5, time for Nikon to play ball. Canon EOS M FinalMente, e agora Nikon? ← A final Portugal-França — a Vitória!